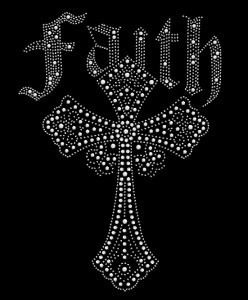 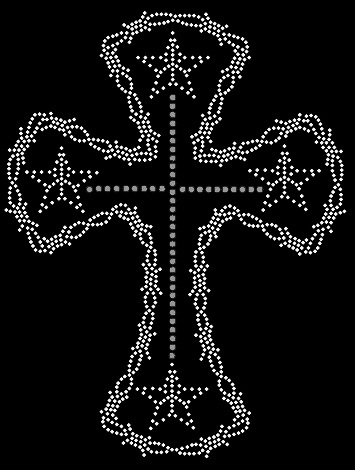 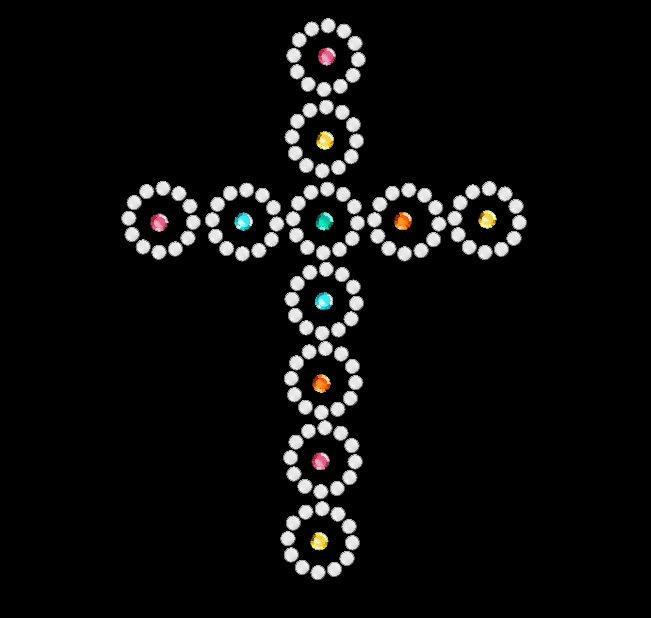 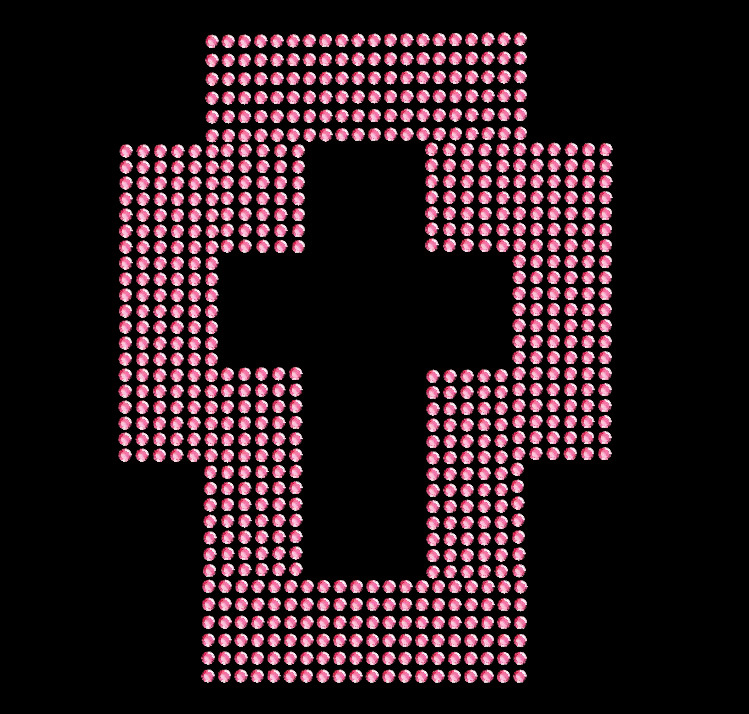 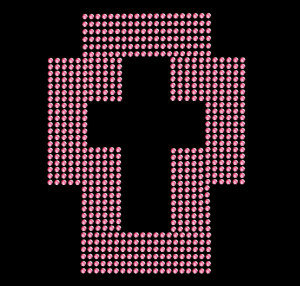 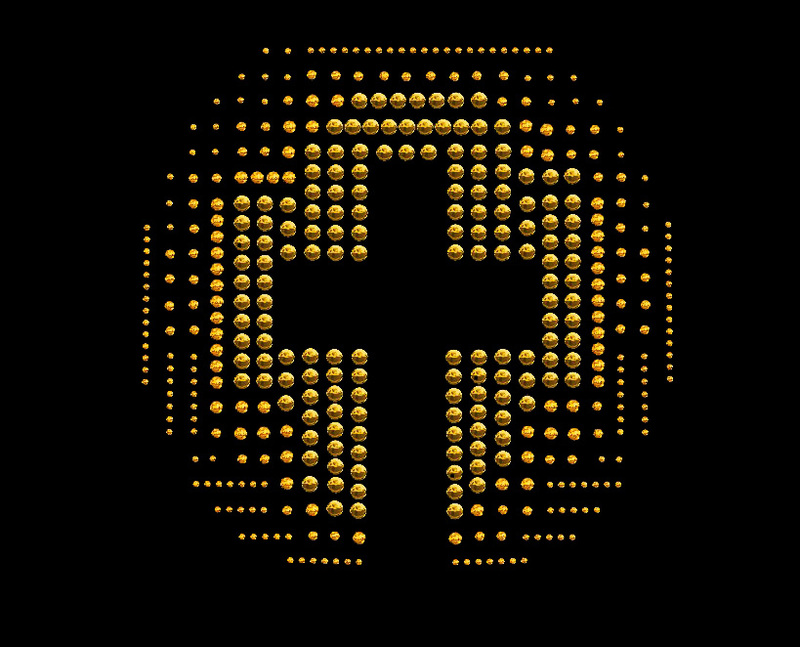 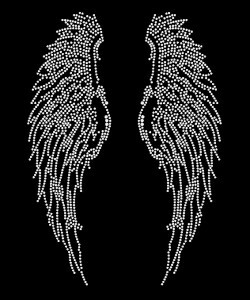 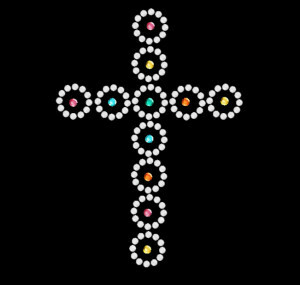 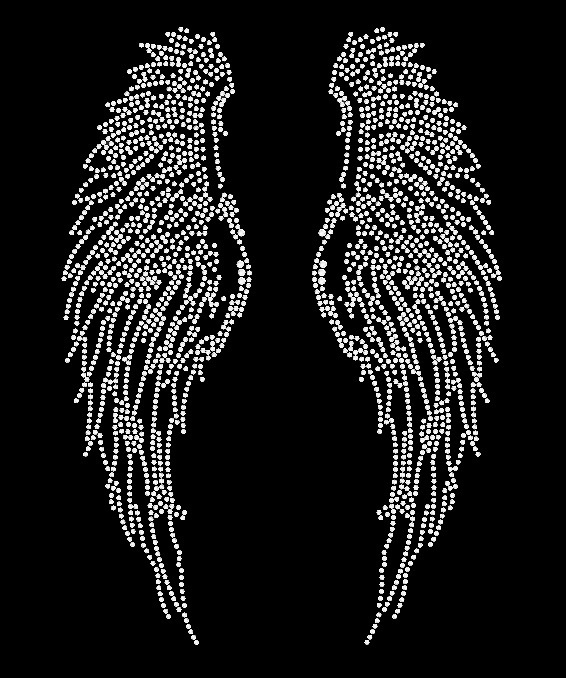 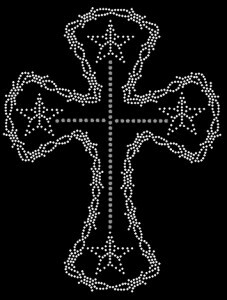 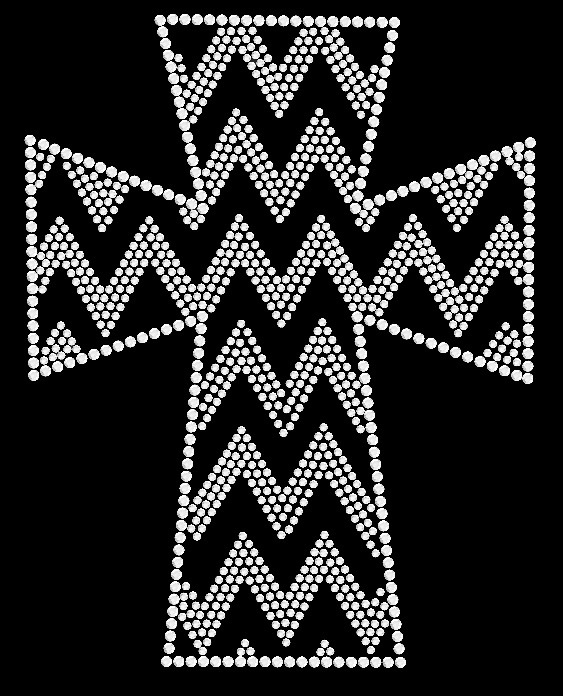 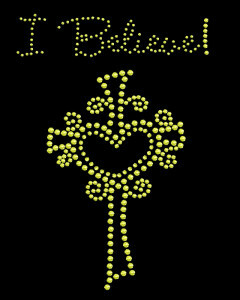 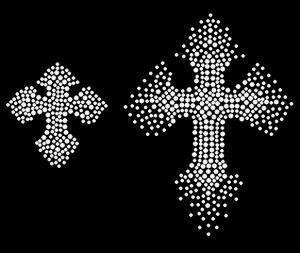 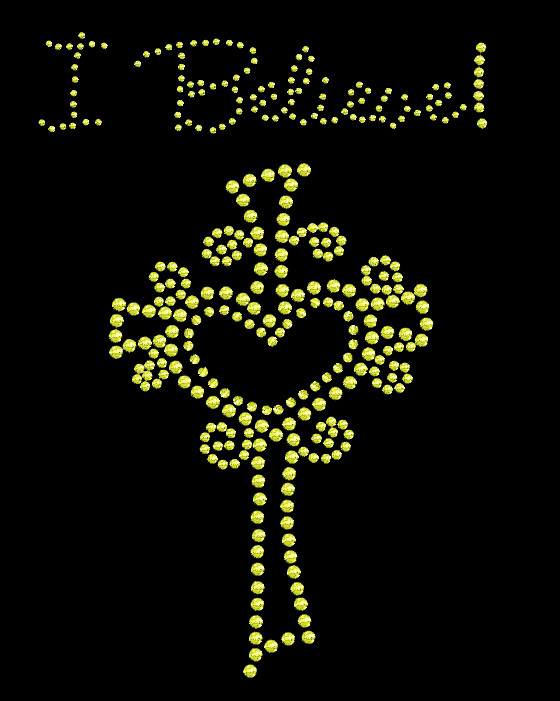 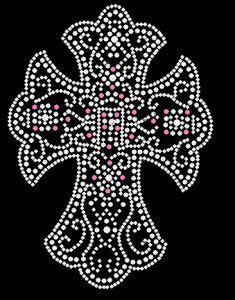 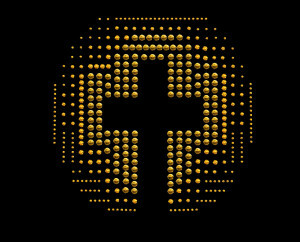 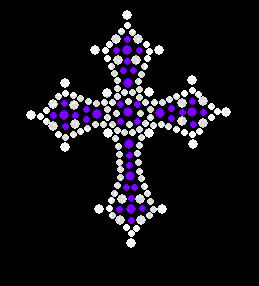 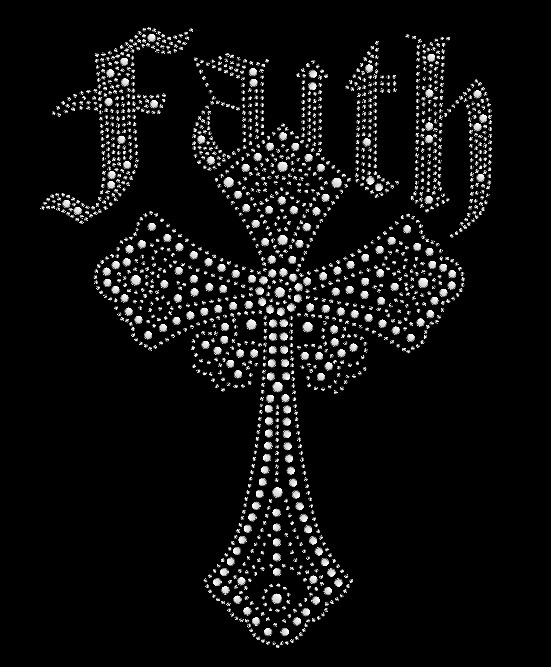 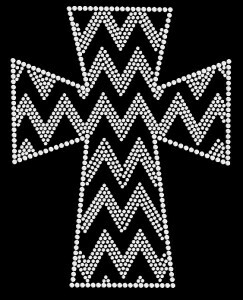 All of our Cross and Religious Rhinestone Iron on Heat Transfers are original designs. 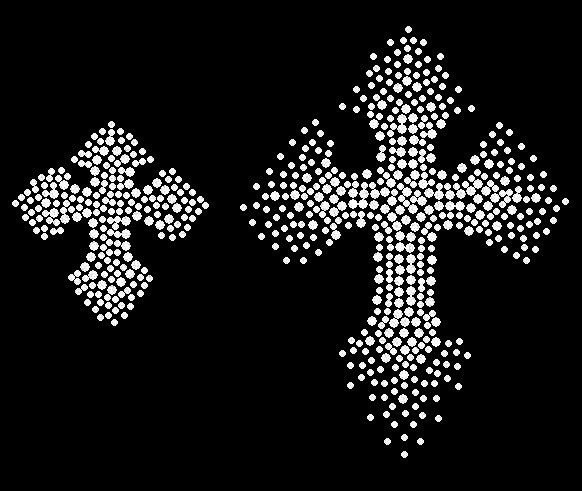 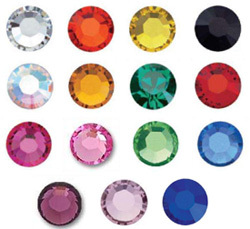 All are available made with rhinestones, spangles, sequins or rhinestuds. 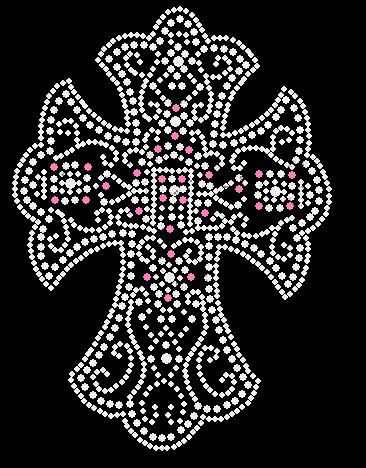 We have a wide variety of styles and colors to choose from and we offer custom designs made with your image or text.